Just yesterday we posted an article that Android 5.1 could be announced and or released as soon as today, and it came to fruition. Today, Google has formally announced Android 5.1 on their official blog. It is said to improve stability and performance, bring support for multiple SIM cards, device protection, and high definition (HD) voice calling. Android 5.1 has been rumored for some time as it was expected to bring major enhancements to the already great 5.0 version. Among those enhancements include HD voice, which has been left out for some time. 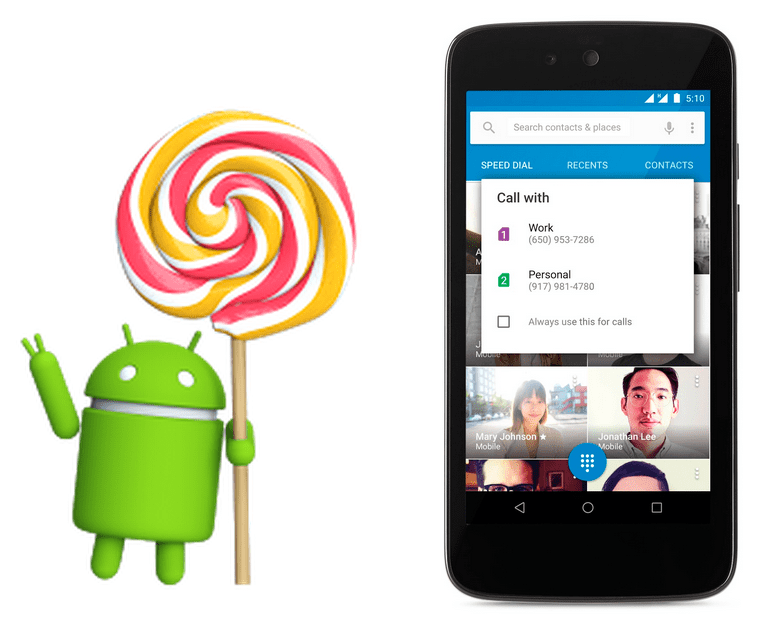 VoLTE has been a standard as of late, but Android 5.0 was off the bandwagon. This feature will work only T-Mobile and Verizon with phones that are compatible, such as the Nexus 6. Another good feature of Android 5.1 is expanded quick settings for both WiFi and Bluetooth in the notification drawer. You can now view networks and devices right in the notification drawer. Something missing out is the rumored silent mode and animated toggles. These aren’t that major, more so the former rather than the latter, but we won’t know for sure until we get our hands on it. We will be sure to let you know when Google releases the factory firmware for those of you who don’t want to wait for the OTA to come across. As of now, the Nexus 5, Nexus 7 (WiFi), and Nexus 10 are the only devices that the 5.1 firmware has been released for. Until then, you can visit the Google Developer page.